That would be the CEO, Steve Perlman. More than 200 other employees were summarily dismissed when the cloud-gaming service caved in last week, though a corporate statement said half would be hired back, and others offered consulting gigs. That doesn't exactly shut down speculation that this "rebooting" of the company was meant to vaporize employees' equity in it, in order to make the whole thing cheaper to sell to a bigger corporation. That was, notably, a point not addressed by the FAQ OnLive put out after the collapse. 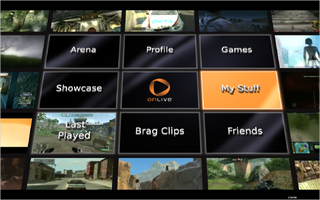 "The recent transition was the hardest thing we at OnLive ever had to go through in our careers," said a statement from OnLive. "Steve continues as CEO and is currently concentrating on the transition; once this is complete, he'll be very focused on our next product releases and the vision. ... There will be more announcements – both large and small." Here's a bet that there is one large announcement coming and it concerns being sold to a bigger company.